It is an era of sudden change and upheaval in Rokugan. Mortal schemes, natural calamities, and celestial turmoil alike have disrupted the political, military, and spiritual equilibrium of the land. Long-simmering rivalries and fresh betrayals ripple through the courts and on the battlefield. The Chrysanthemum Throne is beset by threats from without and within, and the honor of the seven Great Clans shall be put to the test. 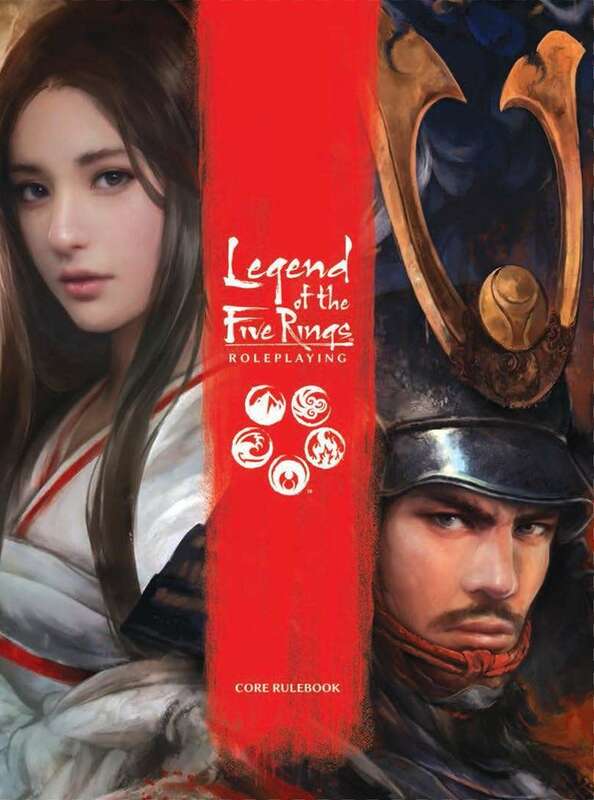 Just received this email notification: An updated version of Legend of the Five Rings Core Rulebook is now available. The map of Rokugan on page 19 has been cleaned up. I posted a video summarizing the setting as presented in this book. Check it out! I have bought the product. Is it possible to ask for an epub version ? One sign for the coming corporate-apocalypse: To place this in "Hottest Smallpress". Is there going to be a POD version? Probably not considering it is currently available through most game stores and even Amazon.com. do the come with a pdf code? I love the book and the new edition overall. Do you know when you’ll be updating the PDF to include the missing page 274 and fix other less serious errors, though? Thanks. Page 274 (the first page of Mass battle rules) was in in the version I just downloaded. Main problem I found was that the map at the beginning of the book is low resolution and unreadable. Is this still the 4th edition, or a new FFG-specific "5th" edition? This is FFG's new L5R game. I'd say it's more of a reboot 1st edition than a 5th edition as the time period has been reset to the same time period when the original game first came out. That might mislead people, as it's a completely new game, not related to 1e other than by the setting.